These little SF guide book/cards are in our entry way, 1st thing we see when we get home, last thing we see when we leave. 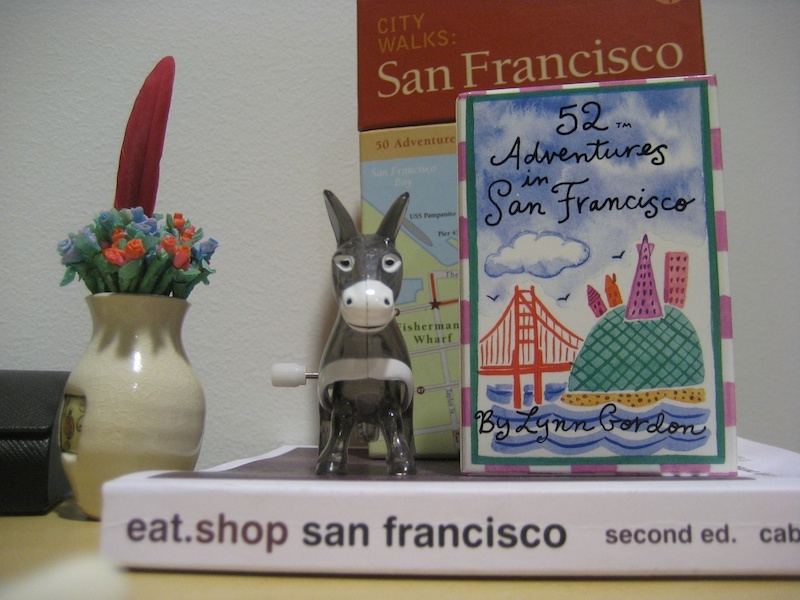 I've had the 52 adventures in SF for over 10 years and the San Francisco City Walks for probably 4 years and my SIL gave us the eat.shop san francisco book to us when we told her the news about our move. so, how many of those adventures, walks, rambles etc recommended in those guide books have you actually done?